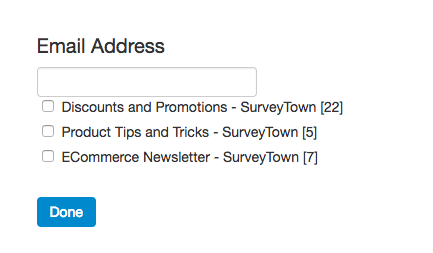 Its quite easy to add survey respondents to a Bronto list using SurveyTown. Here's how. You will need the following items. 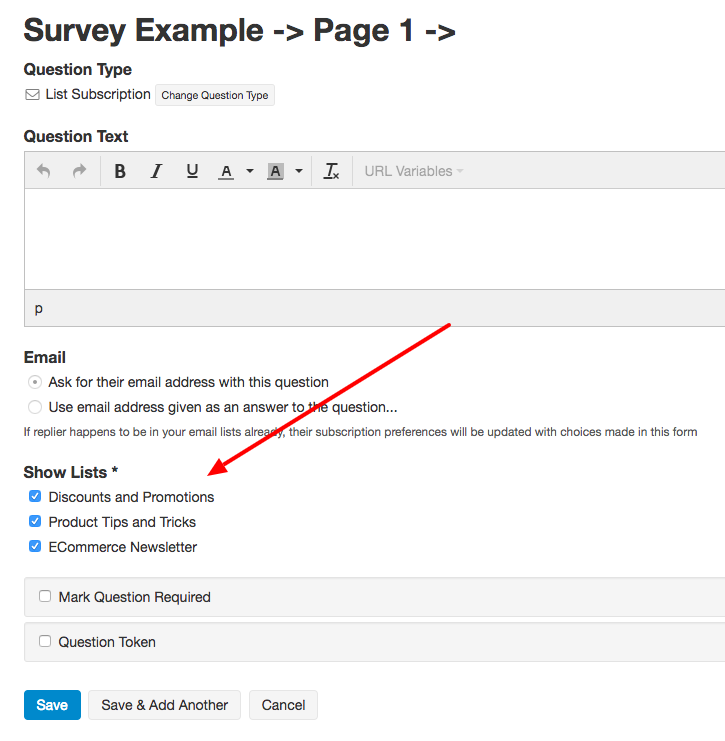 SurveyTown has a "List Subscription" question type that connects to Bronto and looks for any available lists and adds a list subscription question to the survey. If a user then opts in to the list then SurveyTown automatically subscribes the respondent to the list when the page is submitted. First you will need to connect SurveyTown to Bronto. 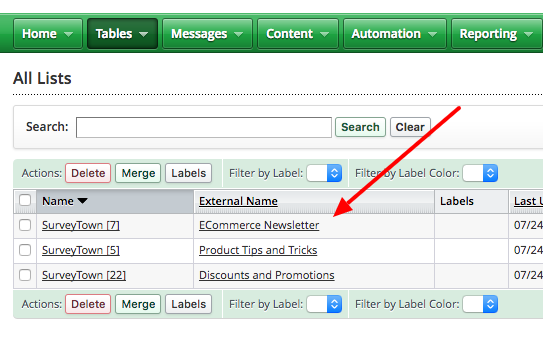 Now you will see the options for the List Subscription question type. You can choose to ask for the email address with this question or if you have already asked for their email address using an email address question type you can use that email to subscribe respondents to lists. 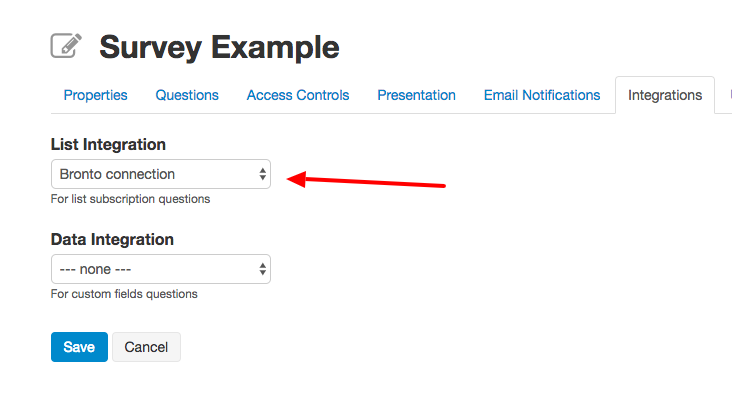 Now, when a respondent answers they would like to be added to your list when taking your survey, they will be automatically be added to the list inside your email service provider. 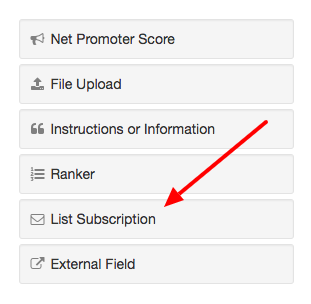 Here's a view of what the List Subscription question looks like in action.